The home ownership aspiration of Australians has widely been referred to as 'the great Australian dream'. For higher income households, purchase affordability is an issue of choice rather than access. For those with more modest means, affordability is a more significant issue. Housing provides people with shelter, security, and privacy. Having an adequate and appropriate place to live is fundamental to people's wellbeing. 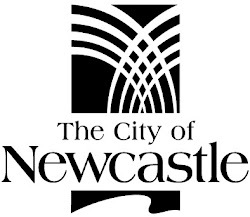 Improvement to the overall accessibility of appropriate housing for Australians is important in determining whether life in Australia is getting better. Home ownership is a widely held aspiration in Australia, providing security of tenure and long term economic benefits to home owners. Owning a home can also bring social and cultural benefits such as a sense of belonging. For some home owners, the dwelling and the land on which it stands is a major asset, and for many it is their main asset. As house prices skyrocket, many young Australians are being forced to deal with some pretty tough and depressing questions, like: how do you buy a home when the average price of a house is 10 to 11 times the average wage? Or how do you keep a job when the only place with affordable rent is many hours away? Using the resources of our wonderful library, we think we might just have ticket for the D.I.Y generation. 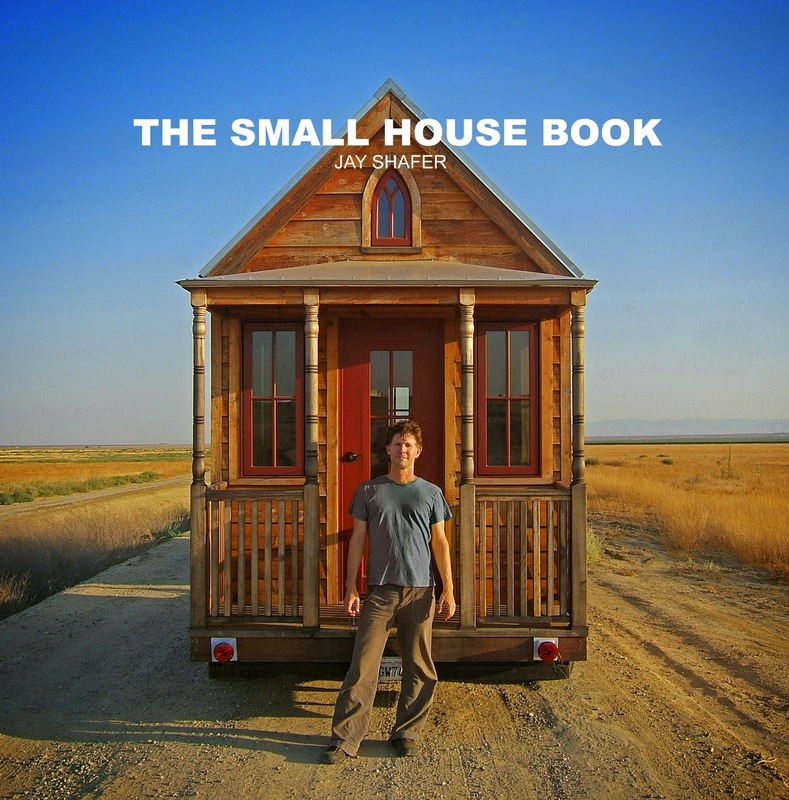 The Small House Book by Jay Shafer is a rare find. A leader in the small house movement that is challenging western standards Shafer breaks down designing a space for your needs and step by step building instructions accompanied with a beautiful collection of photographs. The consideration of aesthetics is not lost and as you read on a philosophy of simple becomes more and more clear and appealing, "The happiness we really seek cannot be found by purchasing more space or more stuff. Those who do not recognise what is enough will never have enough". Until recently, the issue of over-consumption was conspicuously absent from mainstream green discourse. Bigger is better is certainly the favoured by building financiers and the real estate industry. "If you do one thing to make your new home more environmentally sound, make it small" says Shafer. With a recent study in Australia showing that Australians value money spent on experiences rather than material possessions The Small House Book shows smaller spaces not only are cost effective and environmentally sustainable, but also give opportunities to explore other things in life. "For most Americans, big houses have come to symbolise the good life; but, all symbolism aside, the life these places actually foster in more typically one of drudgery. Mortgage payments can appropriate thirty to forty per cent of a household's income not counting taxes, insurance, or maintenance expenses. When every spare penny is going towards house payments, there is nothing left over for investments, travel, continued education, more time with the kids, or even so much as a minute to relax and enjoy life. 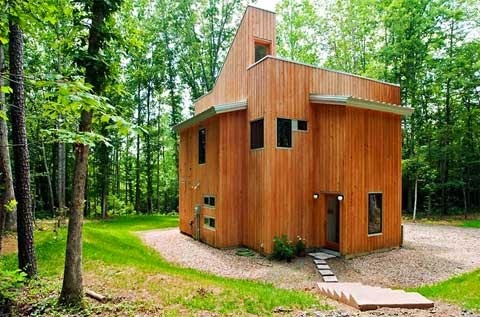 At this rate, an oversized house can start to look more like a debtor's prison than a home. " Another title we have in the collection Tiny Houses written by Mimi Zeiger, is a book focused on dwellings under 1,000 square feet. Zeiger's book challenges readers to take a look at their own homes and consider how much space they actively use. Francesc Zamora Mola's 150 Best Sustainable House Ideas features the latest innovations in environmentally friendly home design. 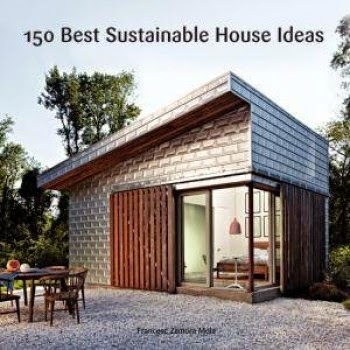 From heating and cooling solutions to wind energy systems, solar panelling, thermal glazing, and even Trombe walls, the ideas featured inside are complemented by photographs and architectural plans of gorgeous, sustainable houses around the world.